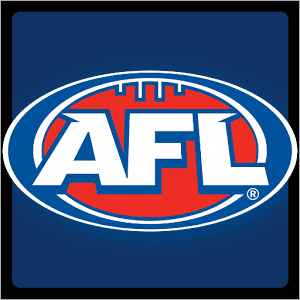 A MONTH of football is in the books and the AFL has done what it does best – cause havoc with tipsters, ruin ladder predictions and leave everyone scratching their heads. North Melbourne is at the top of the ladder for the first time since 1999 after starting the opening four weeks of football in stunning fashion. The Dockers are at the opposite end of the spectrum, winless after a month for the first time in Ross Lyon’s coaching career. Did anyone tip that before the start of the season? Enough about the past, it’s time to look to the future – more specifically the ANZAC round of footy. We have selected four of our most favoured outcomes for this weekend’s match ups and put together a tasty multi worthy of your hard earned. All odds this week are provided by Sportsbet.com.au, which is perfect for those who do not yet have an online betting account. 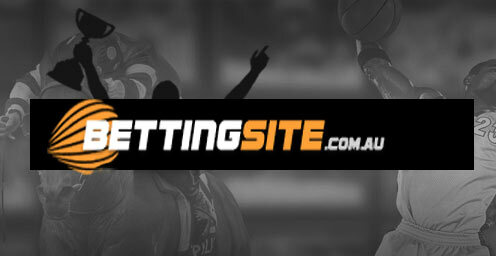 The Aussie agency is offering a matched first bet offer up to the value of $501. The reigning premiers Hawthorn host the form team of the competition Adelaide to open the massive ANZAC round of AFL footy. Both teams have a point to prove. The Hawks were lucky to get past the Bulldogs and the Saints in consecutive weeks, but are still winning games of football, having won all three matches after their first round hiccup against the Cats. The Crows are flying high after scrapping past the Swans in a tight contest at Adelaide Oval; a battle that was befitting of a final. Had they held their nerve in the opening round; Don Pyke’s men could be undefeated in 2016. Hawthorn is shooting for seven straight wins against Adelaide and barring something remarkable the Hawks should be able to make it to seventh heaven against the Crows. Former Grand Final foes Sydney and West Coast kick off the first of four Saturday AFL games. Both teams sit at 3-1 after the opening month of football, placing them towards the top of the premiership market. The Eagles are second favourites for the flag at $5.00 while the Swans sit on the third line of betting at $7.00. The Swans’ midfield have been spectacular this season and relish the closed in nature of the SCG where they can strange teams into submission. Sydney have won eight of the last nine matches between the two sides, experiencing an average winning margin of five goals. We think the final result will follow a similar path. The Swans should be too strong for the Eagles, who will find it hard to adjust to the smaller confides of the SCG. One of the most intriguing matches of round takes place in Adelaide this weekend when the Cats of Geelong travel to South Australia to take on the Power of Port. The Power has been abysmal so far this season. Last week’s effort against the Giants was one of the more lamentable performances under Ken Hinkley, and the club has copped a hammering in the aftermath. The match was so bad that club president David Koch took to Twitter to label his side a ‘disgrace’. Geelong’s wayward kicking last week almost cost them the four points against Essendon last week. The Dons put up a spirited fight against one of the premiership favourites last week but fell short as the Cats found their kicking boots late in the match to push the margin out past 30 points. If the Cats kick 18 points against just about any other side in the AFL, they will lose – so no doubt they will have put a lot of work in on the track to rectify their ordinary kicking for goal. Unless Port finds some grit and determination they will be staring down the barrel of a 1-4 start to the season. Unfortunately it is hard to see how they will get past the Cats, who have displayed a willingness to sacrifice throughout the year to achieve the overall goal. Cats should win in a canter. Fremantle hosts Carlton at Domain Stadium on ANZAC Day eve in a match that both teams will be desperate to win after failing to register a single win between them in the opening month of footy. The Blues have been good without securing the four points in any of their matches. The Dockers have been dysfunctional at times this season, but have been right in the game against good opposition over the last two weeks without finding that little bit extra to get them a result. Both teams will go into Sunday’s contest confident they have what it takes to register their first win of the season, but we expect Fremantle to have too much in the tank for the Blues over in Western Australia. Sick of placing that massive multi and not getting truly rewarded for your bravery in putting in lots of legs? William Hill know how that feels and have invested heavily in looking after their punters. Place a four or more leg multi on any sport this weekend, and if you miss out by one leg you get your cash back up to $50. Looking to just focus on the AFL? Sportsbet have the multi insurance for you. Spend up to $50 on your five or more legged AFL multi this weekend, and if you fail by one leg you get your cash back.